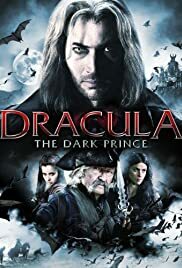 This is a low budget film about how Dracula came to be after his love, Elizabeth, was murdered. After his change, he sets his mind to finding the "Lightbringer", the scythe that Cain used to kill his brother Abel. It is with this scythe that Dracula, a descendant of Abel, will be able to prevent death to anyone he chooses essentially making himself a god. He runs into a problem when he finds what he believes to be the reincarnation of Elizabeth in Alina, a demon slaying woman. He tries to woo her into remembering the life they once shared while a group of Alina's fellow demon slayers both search for her and seek to kill Dracula. I liked it. That's not to say that it didn't need work but overall I found the story interesting. Again, it is low budget so you get so-so acting, shaky scripting and action that needs some choreographic help. I've seen much worse though. This is one that you just have to give it a chance to play out all the way and then make your decision as to how good you think it is.